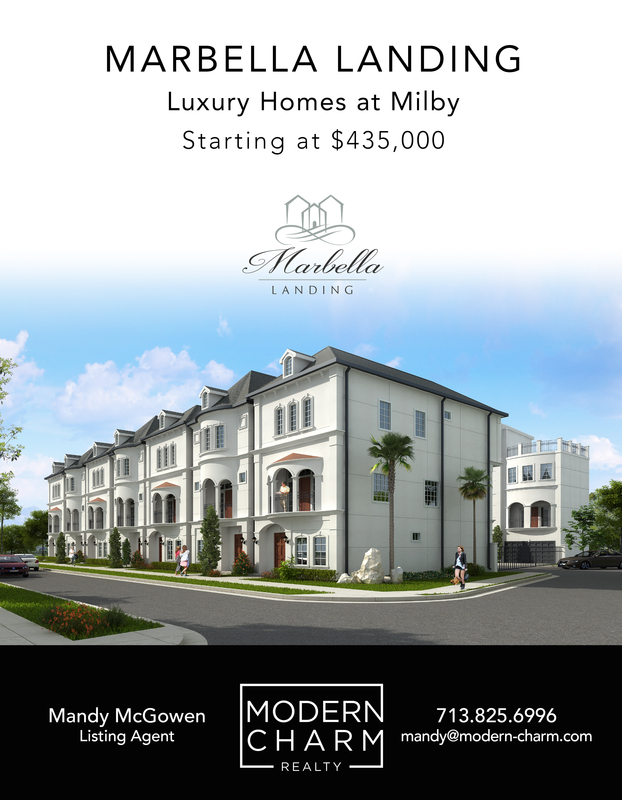 Marbella Landing, luxury homes at Milby. Located in the thriving EaDo neighborhood. 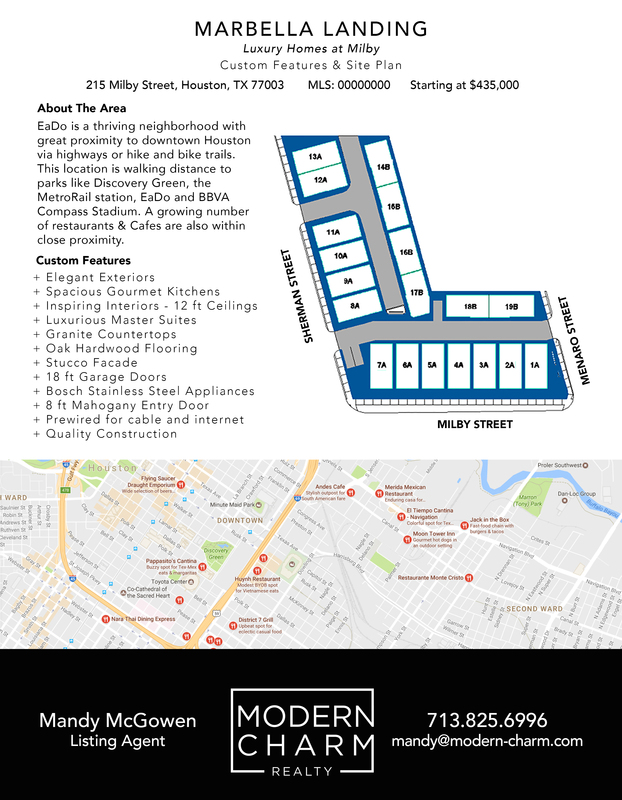 This development offers 3 story living with beautiful views of downtown Houston. Close proximity to MetroRail, cafes and coffee houses in EaDo as well as BBVA Compass Stadium. *June 2017 estimated completion date.